The Railroad Avenue Promenade is located in the heart of Bordentown City, adjacent to the historic Conrail railroad right-of-way that was used for the first movement by steam engine over rails in New Jersey in 1831. The completed Promenade will not only provide improved pedestrian access and integration of the City’s only mass transit facility, but will beautify the downtown, link recreation areas, and provide historical points of interest to visitors and residents. Completion of this four phase promenade project will link the RiverLine light rail stop with the downtown, the Delaware River Heritage Trail and the Thorntown Creek Trail. 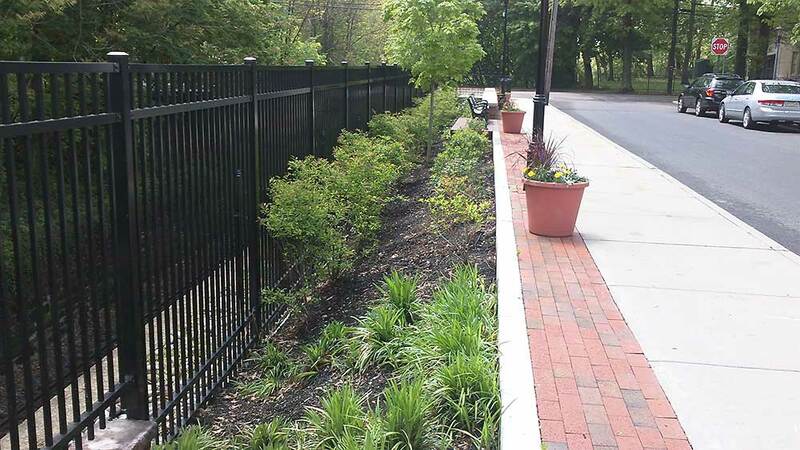 Phase I of this project, which consisted of the reconstruction of the railroad retaining wall along two city blocks, construction of a municipal parking lot, and decorative lighting was completed by others. Phase II of the Railroad Avenue Promenade consists of a decorative paver walkway, street trees and other landscaping, decorative lighting, and site furniture. ACT Engineers was responsible for securing a State Grant through the NJDOT Safe Streets to Transit program for this phase of the project. ACT has completed the design of Phase II which is pending construction. ACT has also completed a Grant funding application for Phase III of the project.